This section covers Domain Name System (DNS) and sample configurations used on Cisco IOS routers. DNS's primary use is to manage Internet names across the World Wide Web. For users or clients to use names instead of 32-bit IP addresses, the TCP/IP model designers developed DNS to translate names into IP addresses. DNS uses TCP and UDP port number 53. In a large IP environment, network users need an easier way to connect to hosts without having to remember 32-bit IP addresses—that's where DNS comes into play. DNS provides a service that allows users to use a host's name in place of an IP Address to connect to hosts. When DNS services are running, the host's name is used to request its IP address from a DNS server. The DNS server is a host running the DNS service, and it is configured to do the translation for the user transparently. In other words, the user never sees the DNS request and host-to-IP address translation. The client simply connects to a host name, and the DNS server does the translation. For example, the website www.cisco.com is translated to the IP address 198.133.129.25. DNS is a distributed database where organizations can use a predefined name or extension to all their devices. Nations can use extensions to define hosts residing in their country. For example, the extension for Australia is defined as .au. To reach the Cisco website in Australia, a user would type www.cisco.com.au in a web browser. A regulatory body called the Internet Registration Authority manages domain names. Similar to DNS, Cisco routers can be configured to locally look up names so network administrator can simply type a name rather than an IP address. Local names can also be configured for devices. You can assign more than one IP address to any given name. Example 3-1 displays three hosts and their corresponding IP addresses. The three hosts, named Router1, Router2, and Router3 in Example 3-1, are translated into IP addresses 131.108.1.1, 131.108.1.2, and 131.108.1.3. When a network administrator types in the host name, the router translates the name to an IP address. Example 3-2 displays a network administrator Telneting from router, R1, to the remote host, Router2. When the network administrator types the name router2 (DNS names are not case-sensitive) at the exec prompt, the Cisco IOS router does a local host lookup for the name router2 and translates the address to 131.108.1.2. What would happen if you typed a name that was not configured locally? Example 3-3 displays the sample output from a Cisco router when an unknown name (ccie, in this case) is typed at the exec prompt. From the privileged exec prompt on Router R1 in Example 3-3, R1 does a local DNS lookup, discovers there is no DNS translation, and provides the shaded error message. 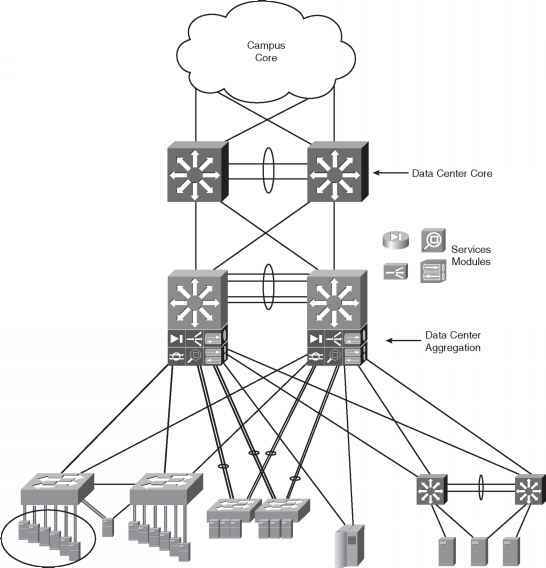 Scalability issues with local host configuration can become a nightmare with a large network. Thankfully, DNS servers can be placed around the network (typically in the core infrastructure) to ensure that only a few devices in the network require the full table of names and IP address translations. The World Wide Web has DNS servers that provide DNS mapping for websites. NOTE By default, Cisco routers search for a DNS server. To disable this feature, use the IOS command no ip domain-lookup. This stops the router from querying a DNS server whenever a name translation is required. This command is a definite time saver for the CCIE Security Lab exam. — ip domain-name name defines a default domain name that the Cisco IOS Software uses to complete unqualified host names. — ip domain-list name defines a list of default domain names to complete unqualified host names. Devices such as PCs can also be configured for DNS servers and domain names. Example 3-4 configures a router named R1 with the domain name cisco.com. The domain name servers are 131.108.255.1 and 131.108.255.2. When a network administrator types a name (not a valid IOS command, of course), the Cisco router attempts to translate the name into an IP address, first from the DNS server with the IP address 131.108.255.1, and then from the DNS server 131.108.255.2. Example 3-5 displays a successful DNS query and translation to the host named ccie (another Cisco router) from the DNS server 131.108.255.1.
! Administrator types ccie Translating "ccie"